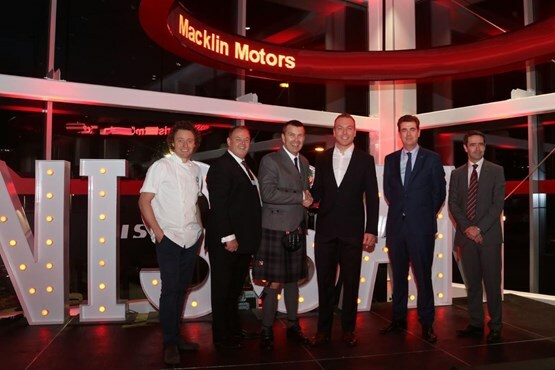 A new Macklin Motors Dealership has recently been opened by Vertu in Glasgow. At the same time, they in partnership with Radio Clyde’s Cash for Kids, launched a charity so as to help support some of the most vulnerable kids in the city. The ongoing partnership was started by the organization as the grand opening of its new dealership on Port Dundas Road said to be worth about £5 million. At that night, Macklin was able to raise a total of £29,760 for the charity. Last year, the money raised was also used in supporting no less than 50,769 children in the locality. It was able to raise this whooping sum by auctioning off a brand new Nissan Juke which was donated by Nissan, a HOY bike and a cycling Jersey signed by Sir Chris Hoy who was there in his capacity as a brand ambassador of Nissan, and a stay at the luxurious Lartington Hall hotel. A determined, aggressive, decisive and stern Cadel Evans gave his best in the final round of the steep climb in Corkscrew Road. The third stage of Tour Down Under saw some spectacular performances from the riders but Cadel Evans was the best amongst all of them. He managed to drop Richie Porte and Simon Gerrans and took an overall lead for the World Tour which will be held in Adelaide. After the race he was asked how he was feeling taking the lead to Australia to which he said that his job is half done till now. He said that he is feeling really good and this has been one of the best performances he had till date. This is Cadel’s first World Tour victory after Dauphine 2012 and he is looking for more such victories in the coming years. The last two years has not been quite fruitful for Cadel Evans and he has not won any major championships. That is the main reason why he is so excited after winning this World Tour. This was also the first victory for Evans in home soil after 2002. The lead which he has taken to Adelaide is the first that he has ever done in Tour Down Under. He has started nine times in this championship and this is the first time that he has managed to take a lead. The fans were really happy when they saw him take the lead and they would be expecting more from him in the days to come in this season. The win will give him a lot of confidence as he was 11 seconds behind when the stage started and he was also unaware of the gap he had to cover in the short period of time. His hard work in the camp has proven to be fruitful in the opening of the season. George Hincapie has admitted to being part of a huge doping scheme that was rampant in cycling at one time, but has also admitted that he stopped long before he helped Australian Cadel Evans take the Yellow Jersey at the 2011 Tour de France. The confession from the American cyclist comes in the wake of the US Anti Doping Agency’s investigation into the allegations of doping against Lance Armstrong and the publication of the reports where 11 of his former team mates, including Hincapie have testified against him. Hincapie was a team mate for the disgraced former champion in the US Postal Service team when he embarked on his record breaking run of seven consecutive titles at the famous Grand Tour starting from 1999. The hugely experienced American cyclists joined the American Team BMC in 2010, the same year as the Australian Evans joined the team and he was an extremely valued lieutenant for the Australian as he won a historic Tour de France title in 2011. Evans valued the inputs of the experienced American so much that he said when accepting that he would not be defending the title in 2012 that the biggest regret of his life was not being able to send out his team mate as a winner. After the 2012 ‘Queen Stage’ the Australian even raised the bandaged hand of the American in the air as a sign of gratitude for all that he has done for him. Hincapie has admitted to being a part of the doping that the US Postal Services team indulged in during his tenure with the team but went on to add that he had not doped since the 2005 season, after Lance Armstrong won his record seventh Tour de France title and retired from the sport for the first time. If reigning Tour de France champion Cadel Evans had hoped for any rest after the Tour de France, he will have to wait at least till the end of the cycling events in the London Olympic Games after being named as part of a strong Australian lineup for the Games as the Aussies seek that Gold Medal which has so far eluded them in the men’s road cycling events. The cycling events at the London Olympic Games begin just a week after the end of the Grand Tour, where Evans will look to win back to back titles. The Grand Tour kicks off in Belgium on Saturday, the 30th of June and will conclude on the 22nd of July, which means that Evans will just have 5 days in his hands after the end of the Grand Tour to the opening ceremony of the Olympic Games. The road cycling event takes place on the 28th of July and although Cadel Evans is not expected to be the team leader at the event with Matt Goss being the most likely candidate to be the protected leader in case of a bunch pack ending, Evans will start the race as one of the favorites and will go for the win if there is a chance for him to clinch the medal. They will face stiff competition from Team GB, who have both Mark Cavendish and Bradley Wiggins lining up. Matt White, the men’s professional coordinator stated that with very little time to prepare after the Tour de France, the riders will only have to carry their form from the Grand Tour of France. Cadel Evans is also expected to be a part of the time trial team along with Michael Rogers, a former time trial world champion. In spite of an extremely strong team lined up, the onus will still be on Evans to help Australia to that elusive Gold Medal.